‘Lassi da glass aur pind da swaad’, is your mind already floating in the mustard fields of Punjab where the entrancing aroma of spices is filling up your senses? 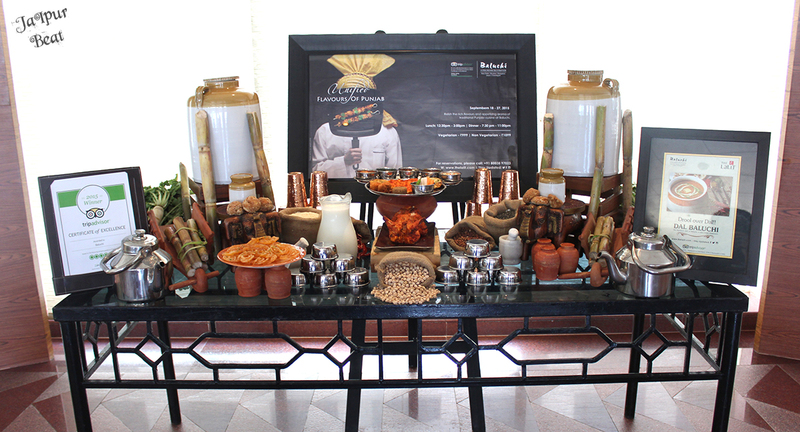 Well, ours was when we visited the ‘Unified Flavours of Punjab’ festival at Lalit Jaipur today. While we thought it would be a regular Punjabi food festival with a modern taste and feel, we were pleasantly mistaken. 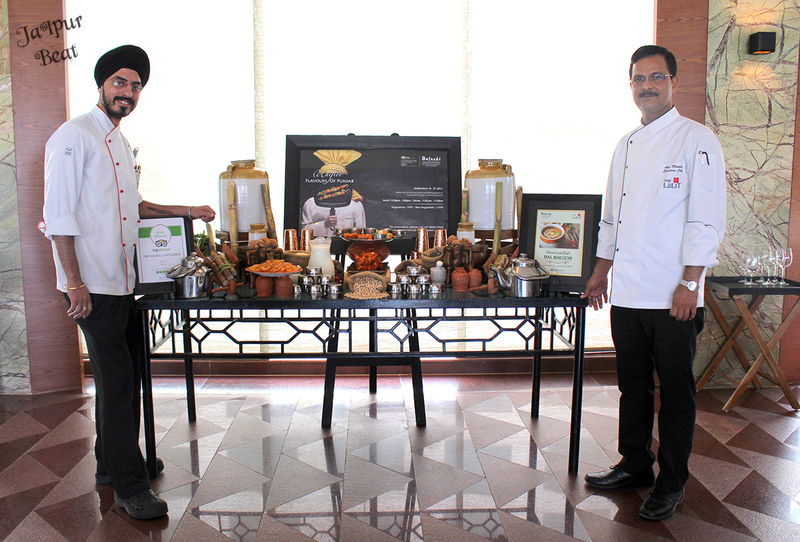 In a truly delicious experience, Chef de cuisine – Jaspratap Bindra a.k.a Jassi and Executive Chef – Ajay Mathur shared with us the nostalgic and beautiful stories of Punjab and how he brought along with him the secret behind the authentic Punjabi cuisine. 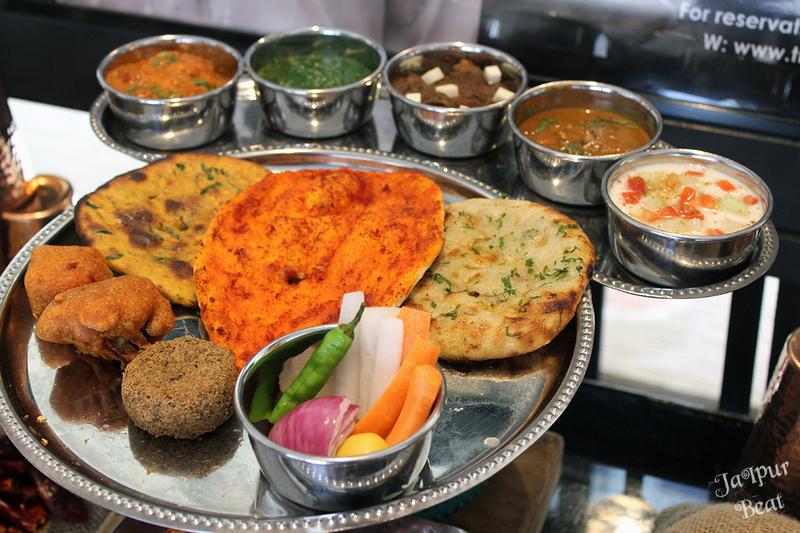 They blended the unmatched taste and rustic feel of Punjab in the spices of food preparations at Baluchi, the Pan Indian Destination (Ranked No. 1 in Jaipur by Tripadvisor in the food festival. The table was set with tangy pickles that were prepared with no preservatives. The pickles included carrot, gobhi (cauliflower) and the absolutely delish mushroom pickle which we could not get our hands off 😉 The starters included the evergreen Lassi & the scrumptious and crispy Kala Chole Di Tikki with spicy green chutney followed by Pindi chole which was a true delight to have with Ambritsari kulche and missi roti. Along came Maa Ki Dal, Paneer Makhani, Makke di Roti Sarso Da Saag and to end it sweetly, there was the mouth watering Doodh-Jalebi. 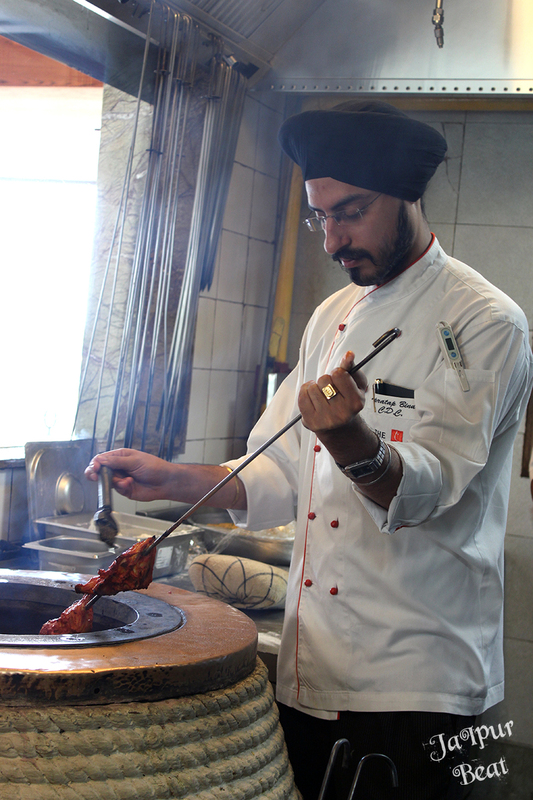 The Chef De Cuisine introduced us to the chefs who originate from Amritsar and Hoshiyarpur and put their Punjabi magical tadka in the food. He then took us to their kitchen where we witnessed the making of the luscious cuisine and the spices like garlic, red chilies, onions, etc which are the main essence of Punjabi cuisine. So get set and come forth for the ultimate Authentic Punjabi experience providing irresistible flavors to take over your senses. 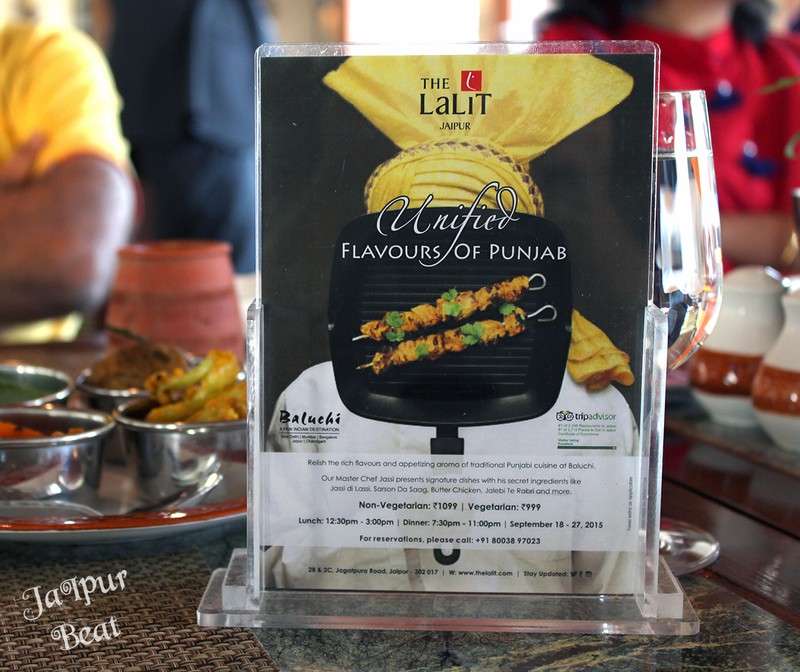 The Lalit Hotel, Jaipur is celebrating the charismatic cuisine of Punjab from Sept 18- 27, 2015.